The Metro Gallery is located at our DPOA offices at 119 W. 2nd St. We feature artists from all over the globe working in a veriaty of different mediums. We have opening receptions on the 2nd Saturday of the month for our Artwalk and Farmers Market which brings thousands to our downtown. The artist Kai Mao mainly creates paintings and sculptures. In 2016 and 2017, Kai Mao made two successful solo exhibitions in Newcastle, England and Venice biennale, Italy. In 2017, he won the 2017 American Art Award in USA and FAC international Art Exhibition Award in Italy. In 2016, he won the gold Artist Award and for The Year Award of Artand in China; Since 2018, Kai has been living in Los Angeles. The Bible has said that human nature is a mixture of divinity and animality, and that animality is universal in human beings, and that each animal represents a human attribute, or a human character. Man is essentially an animal, a superior animal, a more story animal. In the series of Superior Animals art works, there are remarkable characteristics, like the long neck, I hope I can, through the exaggerated expression means, show the modern people, especially women of noble and elegant, nature a modern a kind of common psychological characteristics: pride, beauty, elegance. I am a self taught working artist living in Lancaster, CA. I work in acrylic paint and experiment with recycled/found wood. 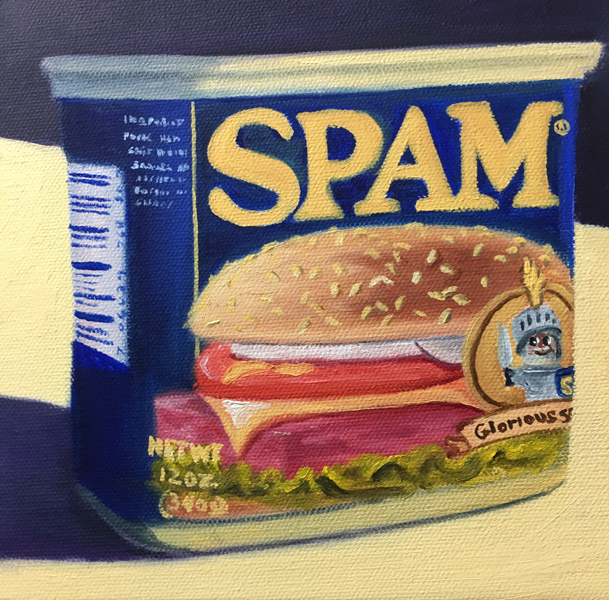 Saturday, October 13, 6-9pm the Metro Gallery has the pleasure of exhibiting R. T. Pece’s new show “Name Some Paintings”, where he encourages viewers to name the work. I have been an exhibiting artist since 1973 and have produced several films incorporating hand drawn cel animation with live-action shot on 16 millimeter film. The images used in my work are inspired by a variety of everyday life sources. The outward similarity to some Pop Art is unmistakable, yet these are not instantly recognizable icons of pop culture. These images possess an iconic importance but only to the point of looking important. Despite the bold presentation, the characters remain enigmatic and mysterious. The anonymity of the image has become an important idea to me. Presented in a flat, comic book style, the characters usually appear some-what cartoonish. Precise, clean edges give the paintings a machine-made appearance yet closer inspection reveals that this is hand done work. Humor, ambiguity, image placement on the canvas as well as in the context of the art world - the irony of making such silly, doodlish figures the subject of "high art" - are my main concerns. "Part of the enchantment of printmaking for me, has to do with the notion of magic. This phenomenon encompasses curiosity, wonder and discovery with the fact that you do not know exactly what you will end up with until you pull the paper away from the matrix." In 2010 I started going to Pow Wows and Aztec Dance events, and taking pictures of the dancers. Aztec or Azteca is more generally known as Mexica. I have taken thousands of photos of Mexica dancers, at hundreds of events over the last 8 years. Photographing Aztec Dance is a espiritual expeliere for me while I am creating art with my camera. I feel at one with the earth and universe as I feel the beat of the duras deep inside my heart and soul. The community of Aztec dancers have welcomed me into there circle and treat me like family. My phographic art exhibit is in their honor. I hope you enjoy it. Saturday, July 14, 6-9pm artist Charisse Abellana will be exhibiting her solo show Detour at the Metro Gallery. "I am an American Filipino and very proud and blessed to be the product of both cultures…Polar opposites, diverse but both rich in substance. I was born and raised in the Philippines, its culture influenced by the native aborigines, native Filipinos, Spain and United States. My Filipino roots taught me the closeness and value of family and extended families, the passion and heat of the Latin culture. My American life taught me the beauty of the nuclear family, the strength that can be drawn from being “the individual”, and the life true freedom can bring. With all these, I metamorphosed into this human being that I love and am now very comfortable with. Aside from painting, which is my passion, I save lives as a practicing Clinical Laboratory Scientist. I practice yoga. Above all these, I have my unwavering faith in a being bigger than my human self…God. I used to say that I live every day of my life like it will be my last. Now I live my life clinging to nothing. I live my life with arms outstretched forever grateful." Saturday, June 9, 6-9pm is the opening reception of Something Just Like This, by artist Karen Ruth Karlsson. Something Just Like This features the printmaking of local, Pomona artist Karen Ruth Karlsson. Printmaking is the process of creating an image on a matrix such as a plexiglass or copper plate and transferring that image to a substate, normally paper or fabric. Printmaking creates original works of art, sometimes in a series of similar or identical images. 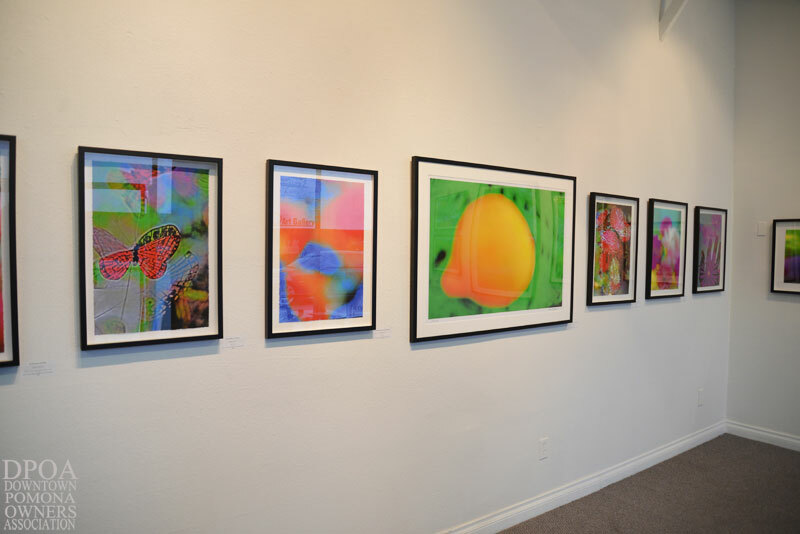 The works in this show include monotypes, collagraphs and etchings. 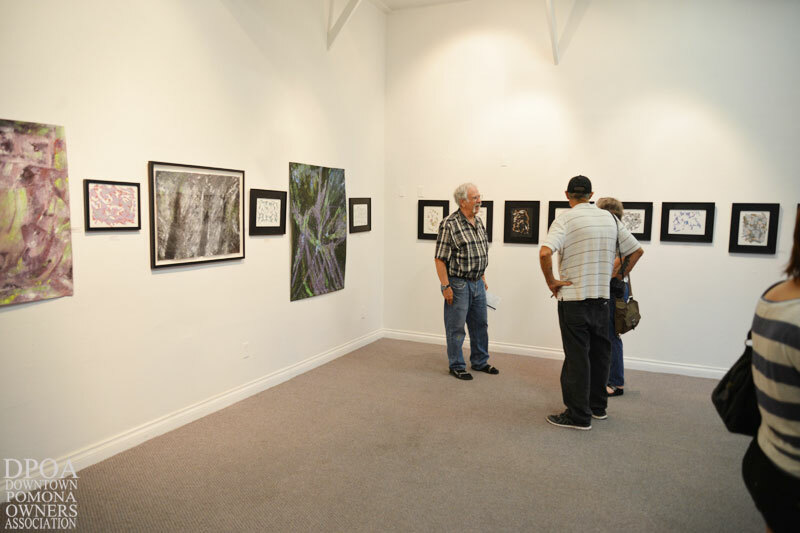 Saturday, May 12 The Metro Gallery is proud to exhibit the work of Chaffey College's intermediate photography class. 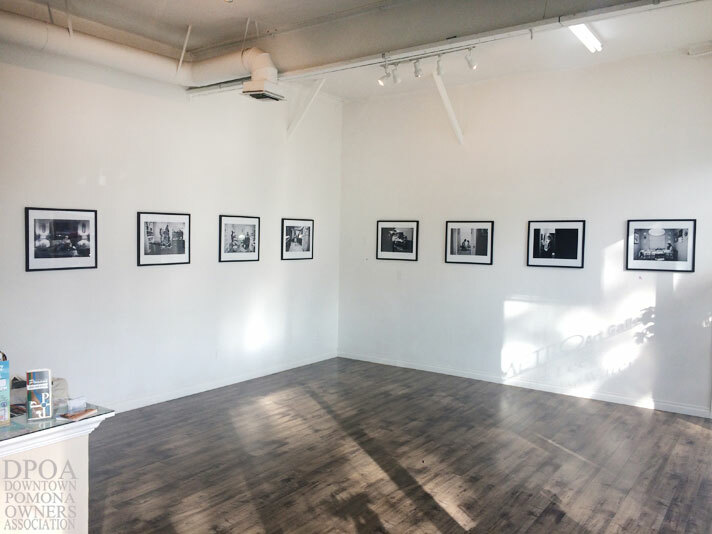 Exploring the use of medium and large format film, Obsolete Perspectives is a collection produced by the students of Chaffey College’s intermediate photography class. The prominence of digital photography has ushered film photography to become an obsolete craft facing termination from curriculums at Chaffey College and elsewhere. This collection not only represents each artist individually, but also showcases a group of artists who forage on in the analogue realm to produce photography in its rawest form. We believe in photography as a means of communication and lifestyle. Vanessa Aguilar, Mark Caballero, Raylene De La Torre, Alexys Garcia, Connie Gutierrez, Amber Hazlett, Trent Liendo, Jason Miller, Jessica Murray, Lazaro Reyes, Mary Bernadette Sanchez, Alexandra Uribe, German Valdes, Alyssa Vasquez, Joshua Vega. My name is Shellise Berry; I graduated from Oklahoma State University with a Bachelor of Fine Arts. After graduation I obtained a job with the County of Los Angeles. Twenty-three years into my career, the last 13 years being predominately left brain work; I felt a void in my life. I began a year-long search that led me back to art in the form of Expressive Art Therapy training. It was during this year of training that I began to create again. A classmate bought me a book on intuitive painting with acrylic paints as the medium of choice. I quickly began to work through the process using the suggested techniques; I finished my first painting in 2012. Immediately my painting took on inspirational characteristics and each painting is accompanied by a positive affirmation. I continue to solely paint with acrylics. Five years later and over 35 completed paintings my love for painting has continued to grow. Alex Torrez is a southern California resident illustrator and designer, from Claremont, CA. Drawing and painting throughout his life, he discovered his passion for stippling and ink drawings, and has pursued this new monochromatic path with stark results. Torrez’s distinct, detailed technique and bold subject matter have seized a growing audience and clientele throughout the greater Los Angeles area and beyond, i.e., Rök House Brewing Co., Sanctum Brewing Co., Medgar & Myrlie Evers Institute, and much more. His drawings and paintings reflect his youthful nostalgia, love of history, music, pop culture, and his hunger for life. Saturday, January 13 will be the opening reception for Joey Martinez from 6-9pm. The prints that I will be putting up will reflect the “Places” I’ve traveled to in the last couple years along with the “Faces” I have met while on my travels. I am addicted to acrylic paint for its ability to make luscious three-dimensional forms in space. Mixing a variety of pigments and mediums, I apply the paint to a flexible matrix using squeeze bottles and pastry tubes forming paint objects that lie somewhere between painting and sculpture. With intense colors and the addition of faux fur, I am creating an unnatural cartoon-like quality. The forms however are based in nature so the natural and unnatural play back and forth. I am a self-taught artist with a degree in Critical Theory and French from University of California in Irvine, where I was a student of Jacques Derrida, founder of Deconstruction. 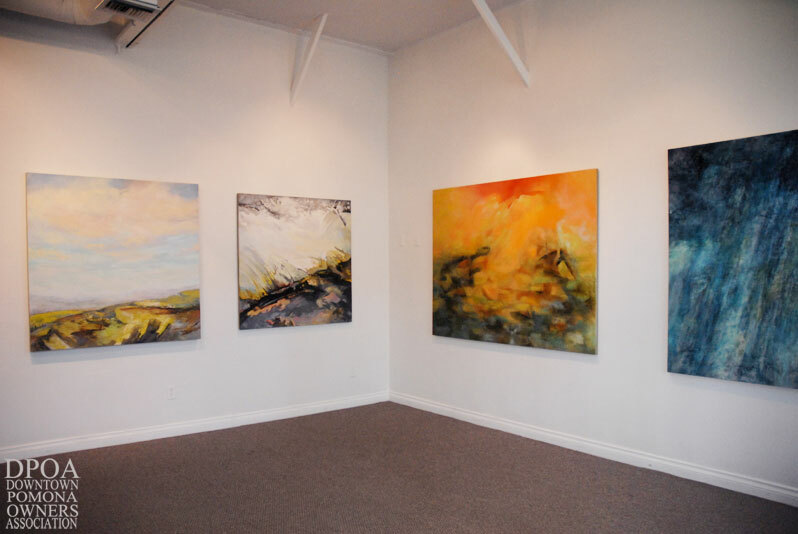 My artwork is an exploration in life’s connectedness and the fluid boundaries between humans and nature. I draw on my life in France, Venezuela, and America, interwoven with African and Australian Aboriginal artistic traditions. My current practice focuses on picote, a French technique going back to the 17th century. In it, one uses an awl to punch tiny holes in paper to create landscapes, patterns, and abstract motifs. Steven Rushingwind Ruiz, born 1959 in Pomona, California, is a world renowned Native America flute Musician, sculptor and painter. His giant burnt match sculptures evoke the feeling of calmness and strength after a roaring blaze transforms a perfect matchstick into a pillar of beauty. What was once a strong, unscarred matchstick is now a piece of art created by the flames, a twisting, turning, sculpted monolith, finding beauty in the ruins. He finds beauty in everyday items around the house and places them up front and personal. Steven is a self-taught artist, coming from a family of artists. 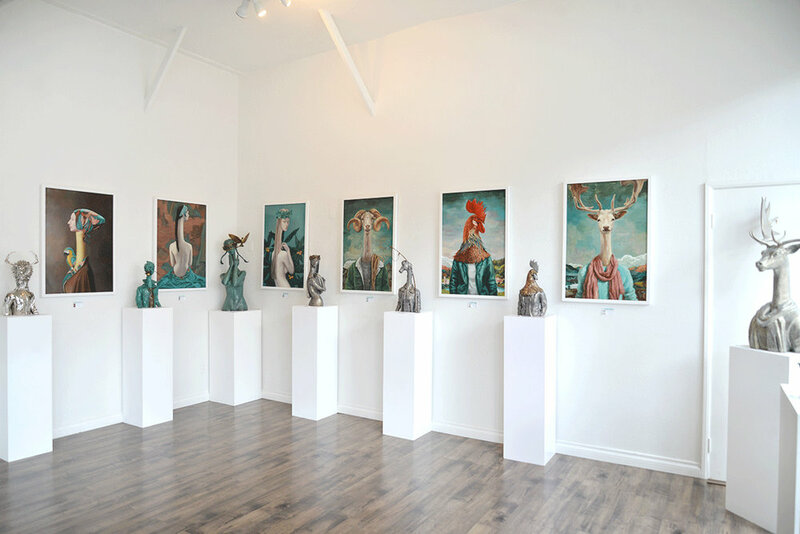 He has owned two galleries, The Blue Core in Pomona California and Ruiz Studios in Monterrey, California. His work is part of the permanent collection at The Latino Art Museum in Pomona, California and The Pomona Valley Hospital. His work has also been shown in hundreds of shows throughout the United States.